Germany is one of the most important market for denim in Europe . In terms of volume it is the biggest. There are large apparel retailers in this country like C&A besides many small ones. H&M is now considered to be second largest retailer in Germany . There are many value retailers who sell large quantities of apparel including jeans. For such a large market , denim supply chain companies need to have the right representative who can work for them with the large buyers and get them business. Not all companies can open their own offices and need experienced agents to represent them and sell their products. 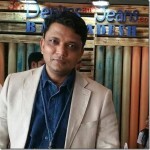 Many agents have a long experience representing denim mills, accessory companies and garment suppliers in this market. This is first in the series of reports that we are publishing. In this report a list of 30 such agents who are working in GERMAN market in the denim industry. Agents in other countries will be listed soon. We hope you our subscribers will find it useful.